Car sales across Indian cities touch a new height in every festive season. Let’s check out the special car offer in Ranchi for this festive which can help in bringing your dream car home with bigger savings. Roll the ball with Baleno: Both the diesel and petrol variants of Baleno have an exchange discount of Rs.15,000. On booking, you get an additional discount of Rs. 8000. An extra rebate of Rs.5000, you can get as an ISL offer. Now, it comes to a total of Rs. 28,000. Pizzazz with Ciaz: One thing is for sure, offer that you get at Nexa Premsons is uber special car offer in Ranchi. This festive season your favorite sedan Ciaz also comes at a cheaper price. First of all, there is a booking discount of Rs. 8000 on every Nexa car that you purchase; mark it bold. There is an exchange offer worth Rs. 50,000 and a minimum ISL offer of Rs. 10,000. There are other offers too! Want to know? Visit us. Instant fun with Ignis: This small hatchback of Nexa comes along with a giant offer price. You can get Rs. 25,000 on the exchange. Yes, you have seen it absolutely right. Also, get a whopping Rs. 15,000 off as consumer discount. For more offers and discounts like these, there’s one Nexa showroom in Ranchi to visit- one and only Nexa Premsons. A family size biggie: Time to call the elephant in the room.It’s time for the SUV. What if you buy an S-Cross? S-Cross also gets cheaper price tag too up to Dhanteras. At Nexa Premsons, you will get the best S-Cross price in Ranchi. Our customers are habituated with some extra cheese and loaded toppings. Now, you must be thinking what festive offers have been attached to this muscular SUV? Woohoo!! Now that’s what we call ‘Festive Offers’. Offers should be king size, else those are not offers. What we promise, that we deliver. For more details about offers and discounts call us. 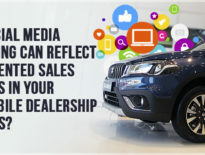 Choose the right car with the right offer. Celebrate this festive in style. 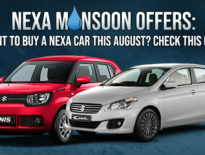 For more details about our Nexa monsoon offers, click here.